Now that NFL training camps are open fantasy football drafts should start happening. Yesterday (Friday) on Sports Time Radio we spent the entire show discussing football. There’s also suppose to the first Mr. Fantasy mock draft coming soon; so look for that. The conversation of who would be the #1 overall pick in our league came up. I believe that it will be Philadelphia Eagles running back LeShom McCoy or Kansas City Chiefs running back Jamaal Charles. Mr. Fantasy added in Minnesota Vikings running back Adrian Peterson. While any of these 3 would be good choices I think Charles is the pick here. Out of these 3 running backs Charles is the only one with an experienced NFL quarterback in Alex Smith. While Nick Foles had a break out season last year for the Eagles there are still some questions about him and remember he didn’t play a full season. Even though Peterson is used to have what you would call a below average quarterback under center it allows teams to stack the line of scrimmage against him and it does hurt his numbers. Can you just imagine the kind of numbers Peterson might out up with just an average quarterback. Does Peterson having Matt Cassell, Christian Ponder or rookie Teddy Bridgewater handing him the ball make you think teams won’t be keying on him. Top running backs always need help from a quarterback and while McCoy will get some help from Foles I don’t think Peterson will get enough from his quarterback and Charles will get the most from Smith. If you don’t end up with a top 3 pick; what do you do? Well with the Marshawn Lynch hold out Matt Forte clearly looks like the next best running back on the board. After Forte there are a group of players that could have great seasons for you or could leave you looking at your team asking yourself why you drafted this guy in the 1st round. In our league you have to start 2 running backs a week; so we have to hunt up other guys as well. I have three running backs that I’m looking at and wondering if I get them as my 2nd running back will they be worth that spot. Toby Gerhart is with the Jacksonville jaguars now and all reports are saying they like him as a 3 down back. If this is the case even on a bad team Gerhart might be worth a shot. This is the first time Gerhart will be the #1 running back for a team and that may have him trying to prove something. Another running back who hasn’t really been under the radar the last few seasons, but has changed teams and is that teams #1 running option is Ben Tate. The Cleveland Browns signed Tate to be their #1 running back and take some pressure off of Brian Hoyer to start and then Johnny Manziel, Tate has put up good number before as Arian Foster back up with the Houston Texans, but in Cleveland he’s the clear-cut #1 running back. The 3rd guy on my list is Rashad Jennings now with the New York Giants. David Wilson is coming off a serious neck injury and even when healthy was a disappointment last season. Jennings has some injury concerns of his own, but the Giants like to run the football and this could increase his numbers for you. Jennings should be the Giants #1 running back and it’s nice to have the #1 running back on a year that likes to run the football. If your that Fantasy football guy who likes to try to find the best rookie running back this may be a tough season for you to do that. Off the bat it seems like the only one who might get a reasonable amount of playing time would be Bishop Sankey of the Tennessee Titans. While Sankey is scheduled to split time with Shonn Greene; Sankey is the receiving back out of the pair. This should help Sankey pick up points from 20 yard line to 20 yard line, but it’s Greene who the Titans will use in-goal line situations. That means Greene will steal some touchdowns that belong to Sankey and of course points from your team. As always it’s still early in the NFL season and injuries change things in a big, big hurry. Will have to see how pre-season plays out, but it’s always fun to talk about it. It seems like when Dan the Man wasn’t looking the San Francisco Giants took the National League West division lead from his Los Angeles Dodgers. While the Giants only have a half of a game lead over the Dodgers as I’m writing this a lot of baseball experts had the Giants as dead when the Dodgers went past them into 1st place earlier in the season. In pre-season picks we all went with the Dodgers to win the West, but a lot of people made that choice. I did have the Giants in the playoffs as one of the wild card teams. As the trade deadline draws closer you wonder if either team will make a move to try to separate themselves in the division. There has been some talk that Matt Kemp would be okay with being traded by the Dodgers and you have to wonder what they could get in return for him. Kemp is signed through 2019 for around $20 million dollars a season. I guess the question I would ask is would Kemp the right combination of prospects and a whole bunch of money be enough for the Dodgers to land David Price. Dan the Man’s ears just perked up. Yes I said David Price. While the Tampa Bay Rays have worked their way back into the pennant race in the American League East you have to wonder if a deal like that could happen. Would the Dodgers be willing to deal a Joc Pederson, Julio Urias, Corey Seager or Alexander Guerrero in a package to bring back Price. It would be a lot to give up, but it could give the Dodgers a World Series. 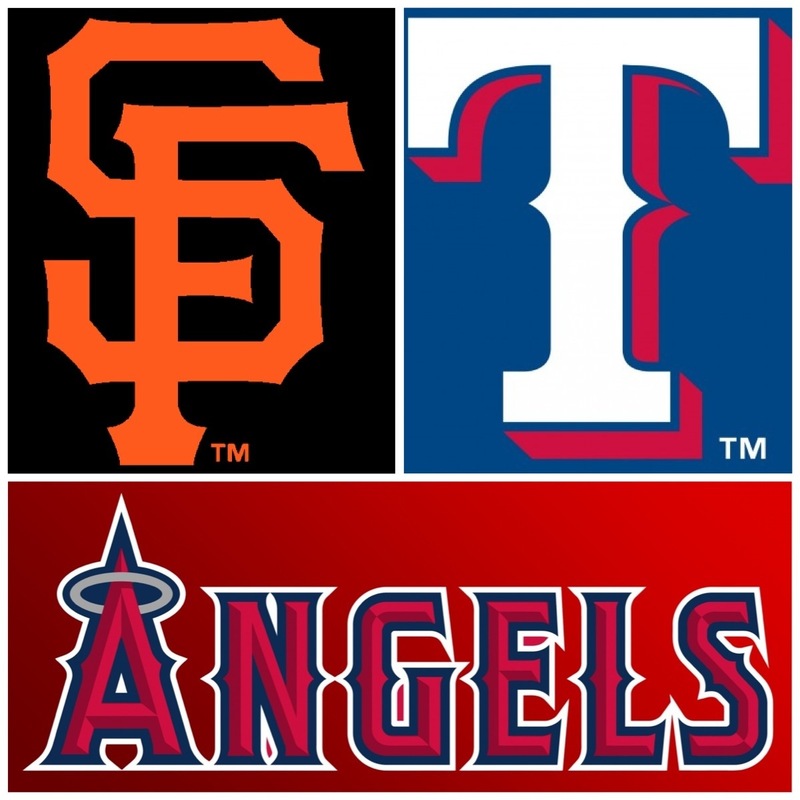 Without a deal by either the Giants or the Dodgers will have some fun watching the N.L. West these last couple months of the season. Dodgers 2013 World Series Winners??? In an interview earlier this season Dodgers President Stan Kasten said that the Dodger fans need to see something now as opposed to any 5 year plan for a team. He didn’t say any names but immediately Theo comes to mind. Which he has completed Year 1 of his 5 year plan. Being a life long fan of the Cubs, Theo’s 5 year plan to me means; don’t expect your Cubbies to be a contending team for the next couple years. While I will probably still go to a couple games, I know that I have to find a new team to cheer for in 2013 and what’s better than throwing on Dodger Blue. It’s very close to Cubbie Blue, plus I have never seen the Cubs beat the Dodgers Live. What that has to do with it Nothing but check out my later blogs when I take you back in time through my ticket stubs. But back to the Dodgers, we all know they have new ownership that includes Magic Johnson, who by all means is Mr LA and wants winning teams in the city of angels. Also, the Dodgers have an exclusive tv deal with Fox and what’s seeming to be a bottomless purse of money!!! Will the Dodgers go all the way to the end. I think they have a huge shot at winning it all in 2013 but there’s a few questionable spots and pitchers possibly out for some or all of 2013. Lets take a look at the tentative 2013 depth chart according to me. 3B. Nick Punto/Juan Uribe -2013??? AJ Ellis was drafted by the Dodgers in 2003 but it wasn’t until last year that he seen 133 games behind the plate. His numbers at the plate are still low but he’s great behind the plate defensively. He’s spent his whole career with the Dodgers, but should be be their starter or do the Dodgers look for veteran experience from AJ Pierzynski or Brian McCann. Adrian Gonzalez back on the west coast. In 5 years for the Padres He averaged about .288 and hit 161 home runs. Moving to the other side of the country didn’t hurt this man at all as for the 2011 season he hit .338 with 27 hrs, 117 RBIs and 108 runs. However, the issues that were going on in the Sox Nation, may have been the cause for his departure. He moved to a team by all means should have been in the playoffs in 2011 & 2012 but we all seen what happened. Barring any injury, he’s going to comeback in 2013 and make that ball fly again out west especially when he returns to his former home at Petco Park. I also see him winning his third gold glove being back in the NL is going to be great for him. Mark Ellis isn’t going to put up huge numbers but he can be very effective on when on base to be driven in home. But what he lacks at the plate he makes up for in the field. He’s spent most of his career at 2cd Base and will be another piece to the Dodger Puzzle. Juan Uribe at 3rd base this next season seems highly unlikely. His contract is up in 2013 but will we even see him in the Majors. Nick Punto, another guy that came over from Boston. He’s spent the last ten years playing the entire field but since 2007 has had barely 100 starts at 3B. Is the guy they are looking for at third. I don’t think that’s the direction they’ll go but keeping him is a must because he can play any position. But if he isn’t the starter then who?? Kevin Youkilis and David Wright are free agents. Both of these guys were their leagues Rookie of the Year in 2004. Defensively, you can’t go wrong with either guy. At the plate these two are very similar both average up to .300 each year. Your going to get 75-100 plus RBIs but your also looking at least 100 Ks from each. Wright is a 6x All Star and Youk’s been there 3x. Hanley Ramirez played well in MIA until his injury in 2011 and being the star of the show Until Ozzie showed up and the Marlins upper management took the light off him focused it all on Ozzie and Reyes, left a sour taste in his mouth. But after moving back to shortstop in LA he started to have a resurgence. Look for a refreshed Han-Ram next season. Matt Kemp and Andre Either do I really need to say anything. These two guys are franchise players and as long as Kemps’ hamstring is okay and Either stays healthy Both of these guys are going to do what they do best play Ball. Carl Crawford will he be a liability or an asset. Injuries have plagued him since be arrived in Boston. Who knows maybe the warmer climate will bring him back to top shape or hell be the Alfonso Soriano of the Dodgers. A healthy Crawford is going to give a .300 batting average while stretching out those base hits into doubles and triples setting the guys behind him for RBIs. The Dodgers bench would have Dee Gordan, Nick Punto, Luis Cruz, Juan Rivera and Jerry Hairston Jr if he is healthy along with back up catcher Matt Trenor. Now the mound!!! Probably one of the most uncertain rotation in 2013. Who will be the Ace? Who will still be pitching and who are they looking at in the off season? 1. Clayton Kershaw as I’m writing this. I just confirmed that he will not have hip surgery this offseason. So the Dodgers Ace will be back at in 2013. 2. Chris Capuano-2014 Pitched for average in 2012. Which I believe will keep him in the rotation but being up for free agency. I feel that if he and Aaron aren’t improving in the 2013 season it’s possible that they could be shipped out by the trade deadline of next season. 3. Aaron Hrang-2014 In Dodger Blue he pitched for average which could keep him in the rotation in the 3,4 or 5 spot. 4. Josh Beckett-2014 he was once a 20 game winner but that was also in 2007. Going 2-3 in 7 starts for LA wasn’t impressive at all and neither was the end of his time in Boston. I am not going to blame the chicken & beer incident on his downfall. If they are unable to move him somewhere else-Would the Pen be a place for him. Until we see Crawford. I think the weakest link in the Infamous LA-Boston Deal is Beckett. 5. Chad Billingsley-2015 Still hasn’t been confirmed if he will undergo Tommy John surgery or not. It is reported that the decision will not be made until November or so which would make it in time for the winter meetings because if he has surgery. He will miss the 2013 season. 6. Ted Lilly-2013 after having surgery on his left shoulder. It is possible that he could be ready by spring training. This off season we will see Zack Grienke and Ryan Dempster in the free agent market and with what it would seem as endless bank account, the Dodgers could pay for both if they wanted. But with the anxiety issues Zack has, is it even possibility of him being in one of the largest markets in the country. Dempster didn’t prove to be all that valuable to the Rangers but NL pitchers switching over to the AL never seem to transition all that well. Plus the Dodgers seemed very interested in him in 2012 but they obviously weren’t willing to give up any prospects for a rent a player. Jake Peavy has a 22 million option that no one expects the White Sox to pick up. The question isn’t really can they afford it but is he worth it. Will he offer them a discount? Who knows but going back to the west could be good for him. 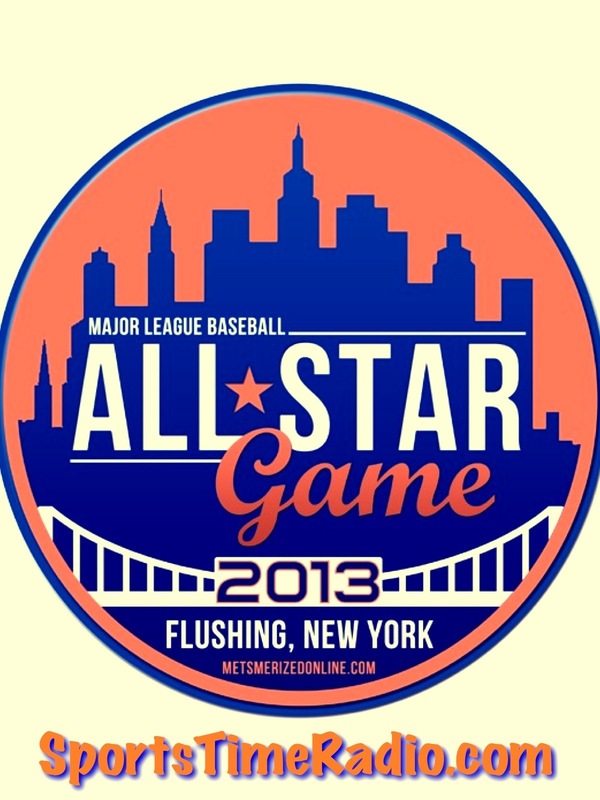 The bullpen seems pretty solid but they really need a solid closer for the 2013 season. Now my predictions are just that, what I think, but it’s going to make for a real exciting off season. I will be glued to the tv during the December meetings to wait to see what deals will be made. 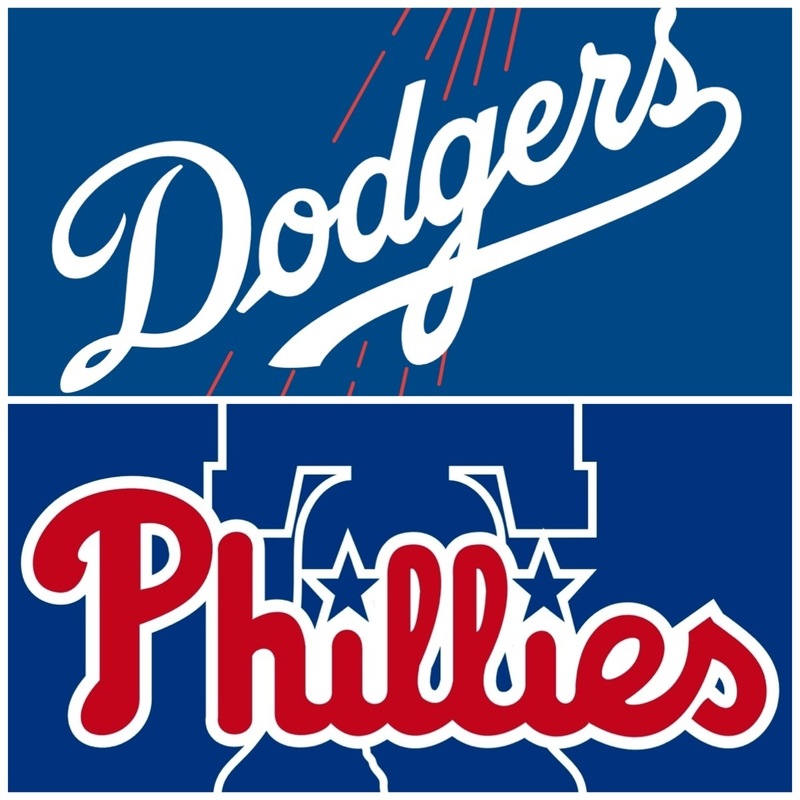 Will the Dodgers be the big talk in December or will another team surprise us. Either way as of now and most likely at the start of the season I will be riding the Dodger train. Who’s with me?